Known as ‘the Gathering Place,’ Oahu is the third largest of all the Hawaiian Islands and is home to nearly a million people. It consists of nearly 600 square miles of mountains, forests, and some of the most amazing beaches and geologic features in the archipelago. The most historically important and visited site is the USS Arizona Memorial in Pearl Harbor, which includes numerous attractions and museums highlighting the day in 1941 that made Pearl Harbor a household name overnight. Whether you’re interested in the island’s cultural heritage, history, or natural beauty, finding amazing things to do on your trip won’t be a problem. Small group tours are great ways to get to know your fellow travelers while getting a personal and intimate introduction to the sites you’re seeing. 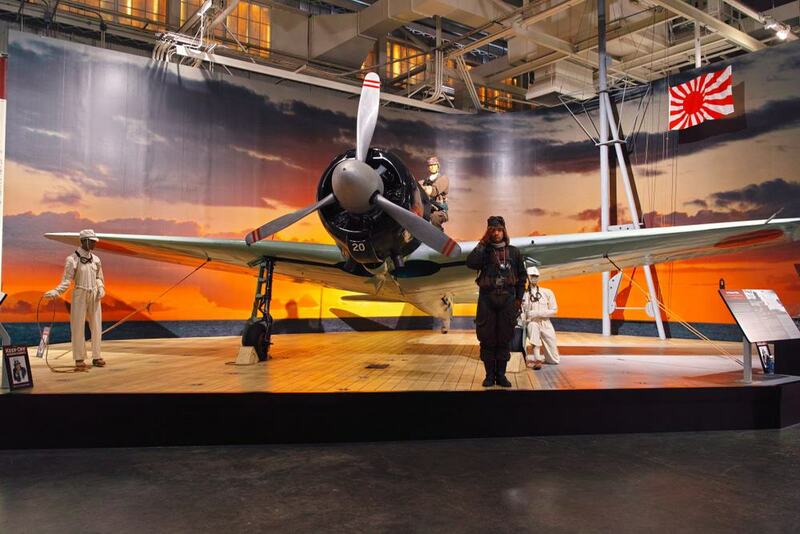 This full-day tour begins with an orientation that’ll bring you up to speed on the historic events leading up to the Japanese attack on Pearl Harbor. 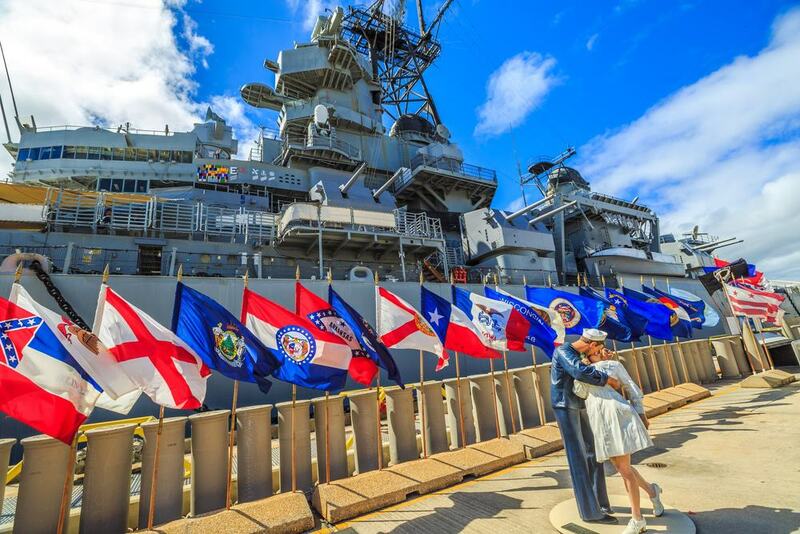 After lunch, you’ll visit the USS Missouri – the historic battleship on which the Japanese signed an unconditional surrender years after the initial attack, signifying an end to the war in the Pacific. All transportation is included. On the way back, you’ll take a tour of historic Honolulu and see some of the city’s most historically important sites. A little morning exercise is a great way to set the pace for a fun-filled day in Oahu. 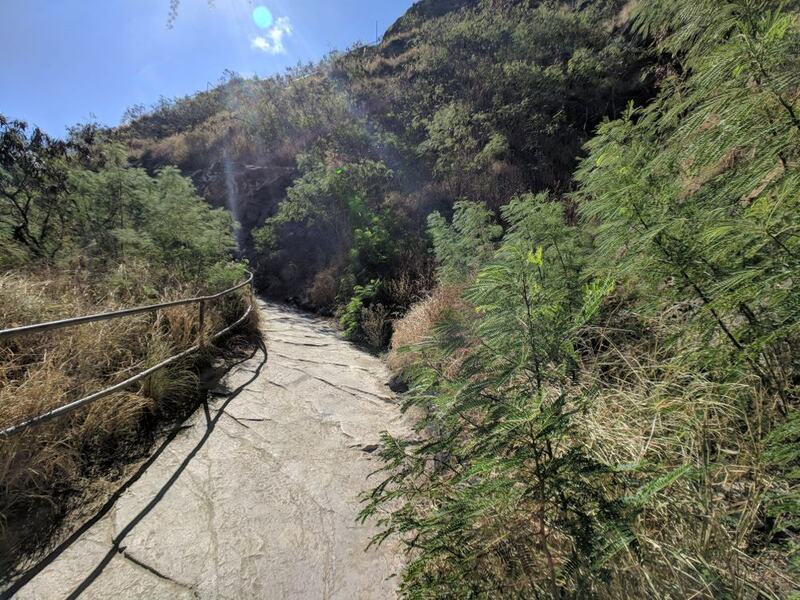 This hike to Diamond Head crater lasts less than an hour. You’ll climb nearly 800 feet to the crater’s peak and take in the amazing views of the magnificent Pacific Ocean and Waikiki. Your guide will give you a crash course in the area’s history and geology before you head out. On your way toward the summit, you’ll stop at many of the vista points along the way, and even pass through a dark tunnel that’s nearly 200-feet long, after which you’ll see the crater in its entirety. 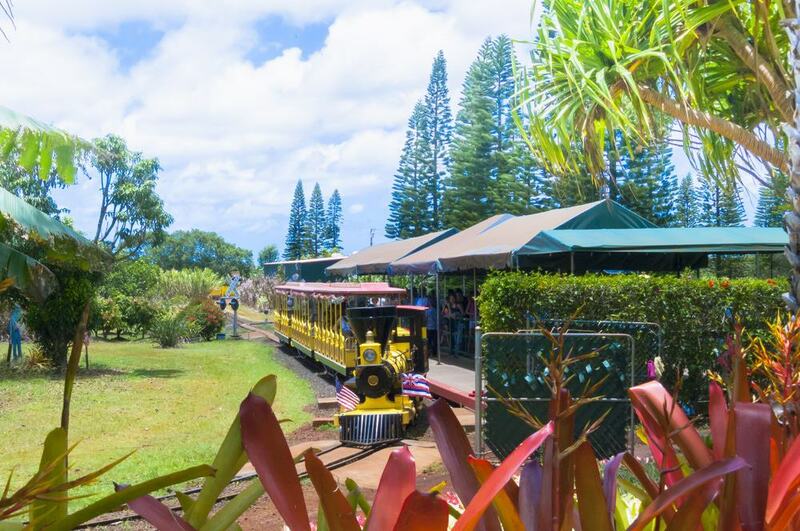 This six-hour guided small-group tour will include visits to many of the North Shore’s most beautiful and historically significant sites, including a Dole pineapple plantation. This jam-packed tour will give you access to nearly 30 places that are visitor hotspots and is a great way to get a comprehensive glimpse into the area. Transportation is included; you’ll be picked up at 9:00 AM from your hotel in Waikiki. Though the cost of lunch isn’t included, you’ll stop at the North Shore’s famous food-truck area and will have your pick of lots of local specialties, all in view of scenic Waimea Bay and Waikiki. On December 7, 1941, Pearl Harbor’s place in history was etched in stone as the day that Japan attacked America, sparking the country’s declaration of war on the Japanese Empire. 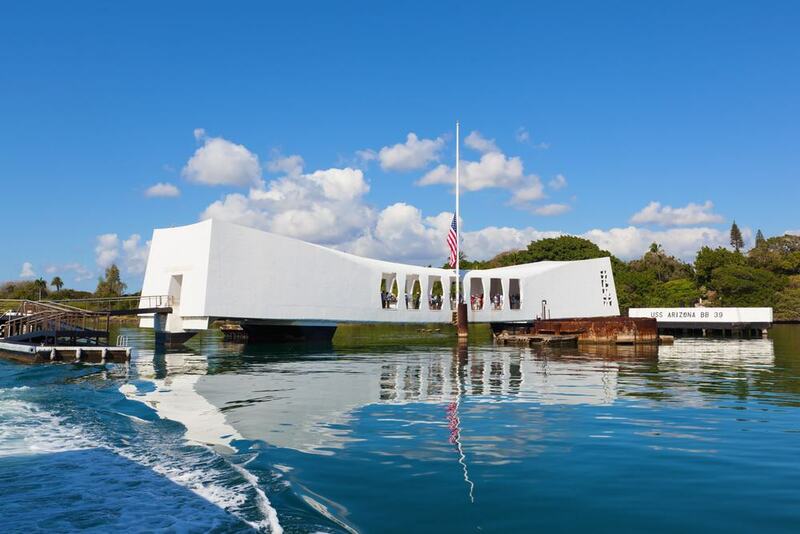 This guided tour includes a harbor tour aboard a renovated navy boat, from which you’ll see the famous USS Arizona Memorial and visit a few of the most memorable museums to view footage of the attacks and the devastation they caused. This tour is all-inclusive and includes door-to-door transportation. It ends with a drive through downtown Honolulu, where you’ll see Iolani Palace before heading back to Waikiki. If a day spent tearing it up on ATVs and hanging from cables hundreds of feet over mountains and forests sounds like a great way to spend some vacation time, then this North Shore tour is for you. 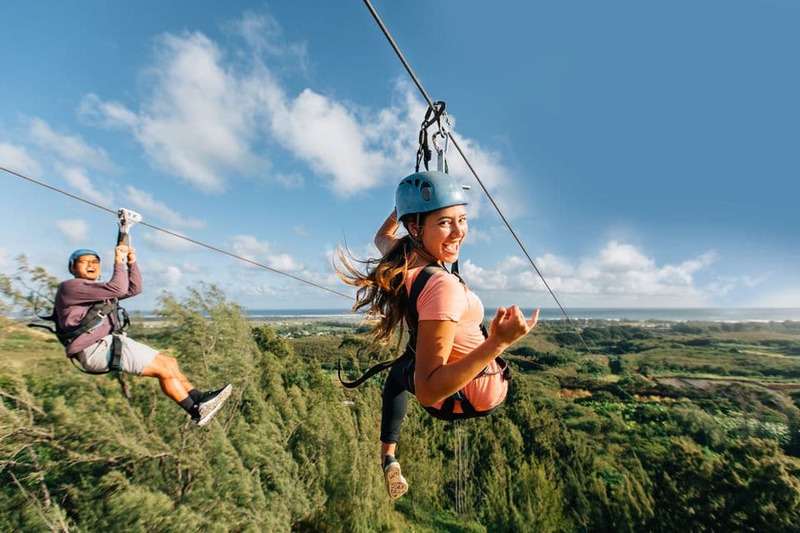 There’s no better way to get a bird’s eye view than by zip-lining; with eight different lines, you’ll get unobstructed views of the area’s famous beaches, lush jungles, and majestic mountains. Don’t worry if you’re not experienced, you’ll get all the training and gear necessary to have a safe and fun-filled day. You’ll also tour a working farm that produces an amazingly diverse amount of produce annually too. If you’re an adrenaline junkie who’s always looking for new ways to push the boundaries, this opportunity to swim with sharks is one that really shouldn’t be passed up. Though it sounds dangerous, you’ll be swimming with sharks that are pretty big, but really not so by shark standards. You’ll get all the training and gear needed to have the time of your life and get out of the water in one piece. This tour doesn’t include food, drinks or transportation; you’re welcome to bring your own mask and snorkel if you have them. You may see dolphins and sea turtles too. There was a time when small submarines were the exclusive realm of navy men, treasure hunters and secret agents like Britain’s James Bond. 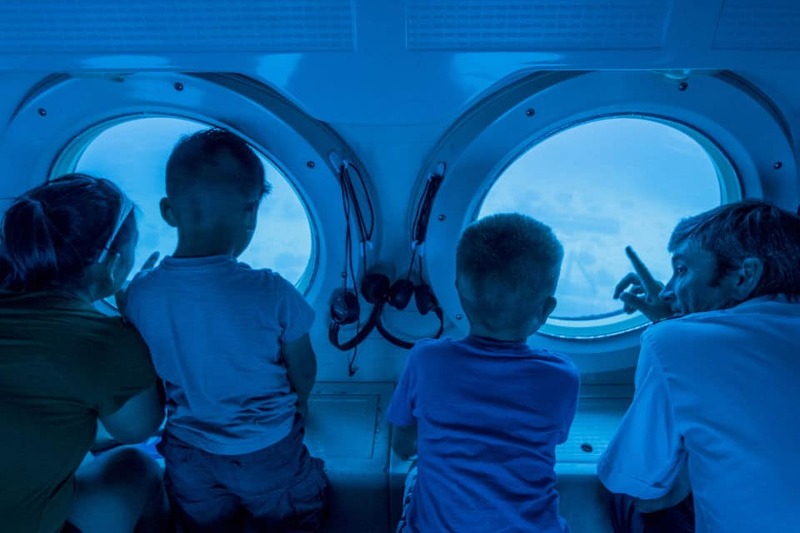 These days, however, even common tourists have access to amazing submersible watercraft – like the 50-passenger one in which you’ll glide through the depths on this amazing tour. You’ll dive below 100 feet and see some amazing sea life up close as you visit wrecked vessels and even some downed aircraft. The submarine is safe, comfortable and air-conditioned. This truly once-in-a-lifetime tour is one of the things to do in Oahu that really shouldn’t be missed. The USS Arizona Memorial draws more tourists every year than any other site in Hawaii. It’s the location from which world-changing events were set in motion that led to a half-decade of war that shaped world history. This 2 ½-hour audio tour includes visits to two of the area’s most comprehensive museums. 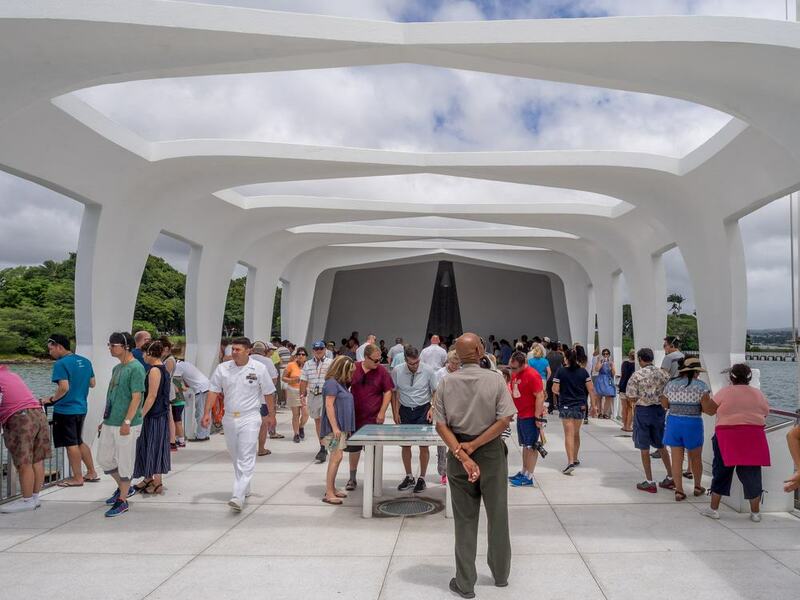 It is one of the few tours that’s officially sanctioned by the National Park Service that oversees the Pearl Harbor sites and museums. Your virtual, audio tour guide will give you amazing facts and stories that’ll provide you with a remarkably personal insight into the momentous nature of that day in 1941. It’s not surprising that the Hawaiian Islands are home to some of the best whale watching opportunities to be found anywhere in the world. 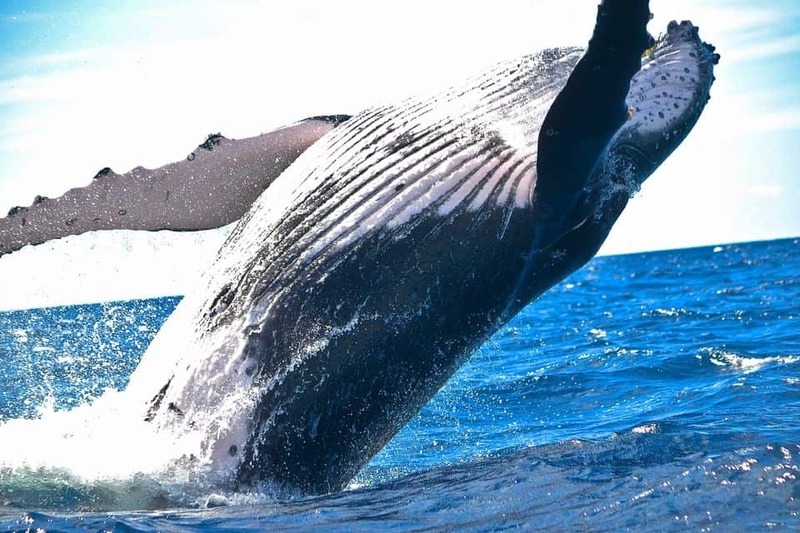 This morning whale watching tour from Waikiki has an amazingly high success rate, but if by some stroke of bad luck, the finicky whales don’t show up, you’ll get a free voucher to take the tour again. The relatively shallow waters around Waikiki are like magnets to humpback whales, who come annually to breed, give birth and nurture their young in relative safety. The best months to experience this natural wonder are from December until May. The USS Arizona Memorial and the Aviation Museum are probably the two most important places to visit on your trip to Pearl Harbor. This small-group tour is for those who want all the pesky details to be handled by professionals, so they’re free to relax and take in all the magnificent sights and history the area has to offer. The tour includes skip-the-line tickets and a pre-tour orientation that’ll get things off on the right foot before you dive into your audio-tour of one of the gems of American history. Everything is included except tips, food, and drinks, so bring a few dollars with you. There are few places in the world where the sunsets are as majestic as they are in Oahu. 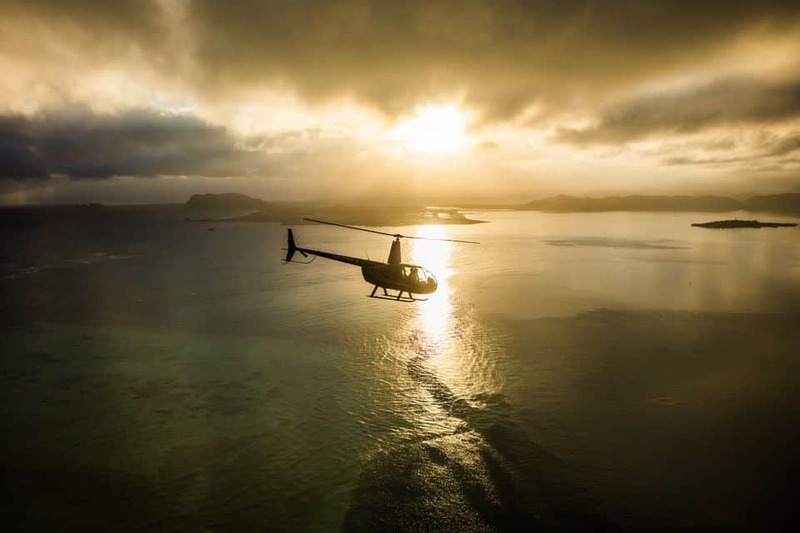 During your trip, you should try to see them from as many vantage points as possible; one of the most unique ways to do this is by helicopter. 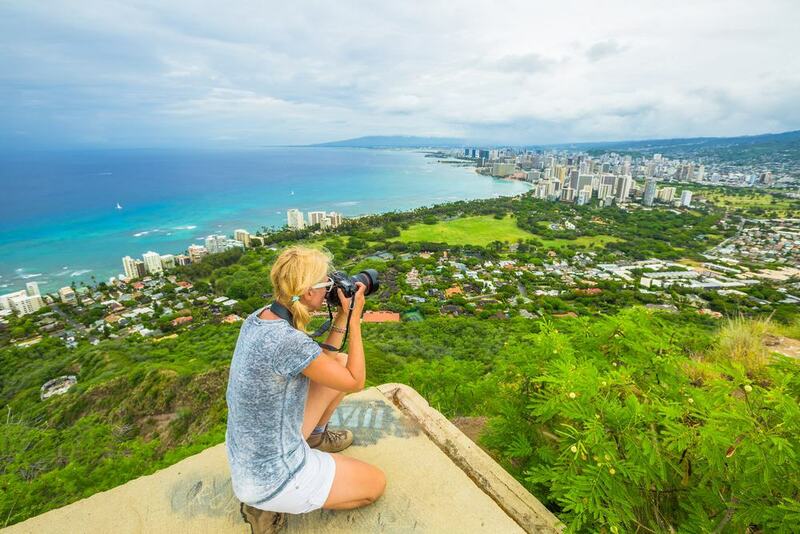 This 20-minute tour will take you soaring over Diamond Head and the darkening ocean, as well as give you beautiful vistas of Waikiki and the North Shore. The tour will end with a flight over Pearl Harbor and the USS Arizona Memorial, as evening turns into magical twilight. This is a great tour to take before a nice dinner or a night on the town. Diamond Head is one of the Oahu coast’s most iconic and recognizable features and there’s no better way to take in its splendor than by a cruise. 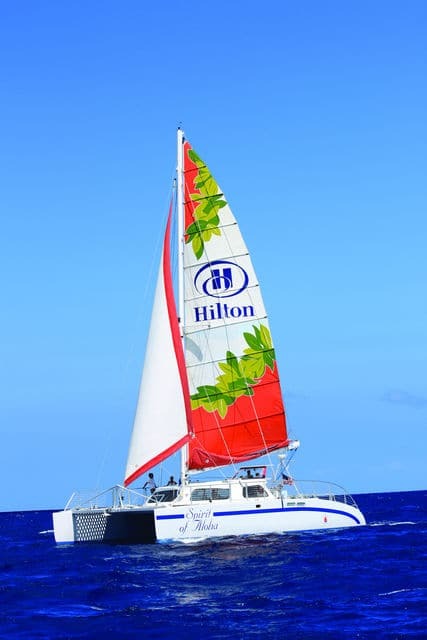 You’ll set sail on a catamaran that’s nearly 60 feet long, from which you’ll take in the amazing beaches, dramatic cliffs and towering crater rim of Diamond Head – all while gently rocking on the boat’s deck. Chances are you’ll see some amazing sea life too, like dolphins and sea turtles, both of which are inhabitants of the clear Pacific water. Non-alcoholic drinks and snacks are provided free of charge, but transportation isn’t, so you’ll need to get to the launch site on your own. If you’re a frugal traveler who likes to make the most efficient use of valuable vacation time and get the most bang for your hard-earned buck, this fun-filled tour is for you. 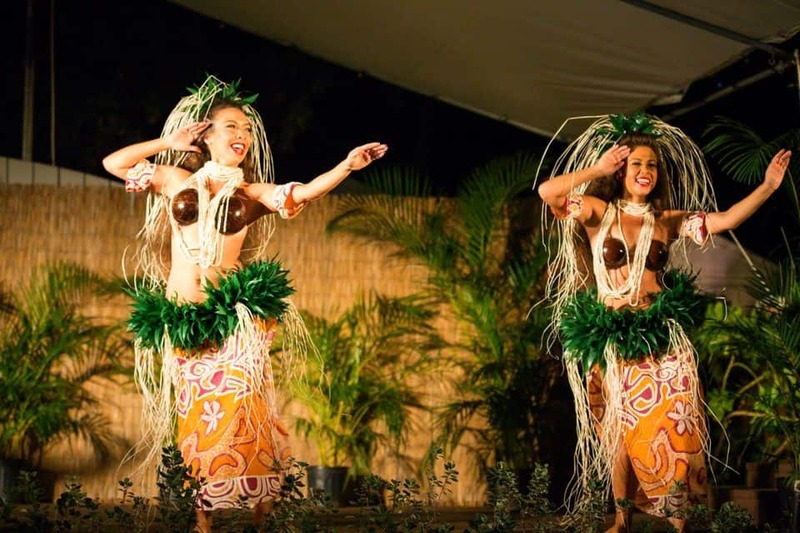 You’ll get a first-hand look at a working farm and experience a traditional Polynesian-style dance and music performance – including the fire and knife dance that’ll raise your heartbeat. As if that weren’t enough, there are plenty of hands-on activities if you’d like to try hula dancing, making a lei or playing the ukulele. If you’d rather relax with a cool drink and just observe, that’s okay too. This tour fills up quickly, so book in advance to avoid missing out. 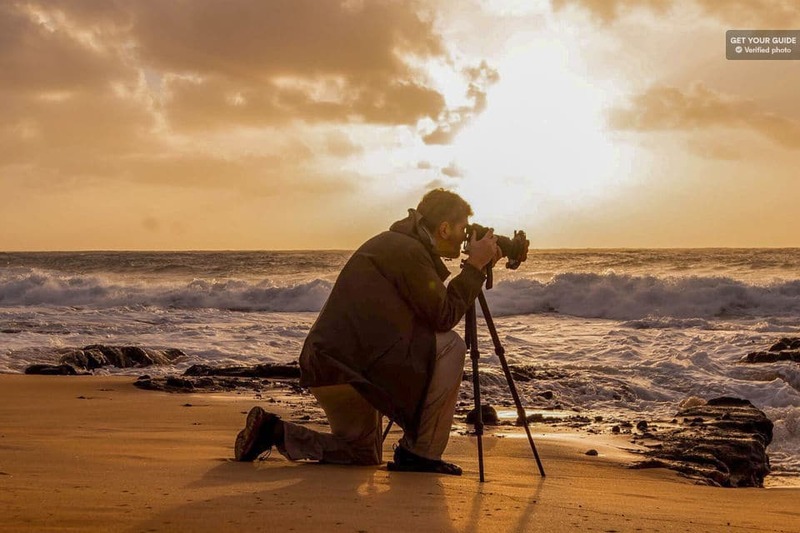 Whether you’re an experienced photographer or just an amateur or aspiring shutterbug, this sunrise tour with a professional photographer-guide is a great way to spend a few morning hours. It shouldn’t be a surprise that the sunrises are majestic here, and what better way to capture one then with a professional taking you to the right place and giving you pointers to make your photographed memory the best it can be. With your input, your guide will choose the location that’s best for you and the conditions. After the sun has risen, you’ll visit some other amazing spots from which world-famous shots have been taken in years past. Though last on the list, this Diamond Head hiking tour with an audio guide is certainly not least by any standards. This tour starts at the Diamond Head Visitor Center and is an official activity of the State of Hawaii’s Historic Pacific Parks, which manages many tourist sites. You’ll get plenty of exercise and are free to go at your own pace. You’ll also get the benefit of an excellent audio narration that’ll fill you in on the area’s geological, cultural and historical past. The narration is available in multiple languages, but you’ll need to pay the park entrance fee so make sure you take that into consideration.